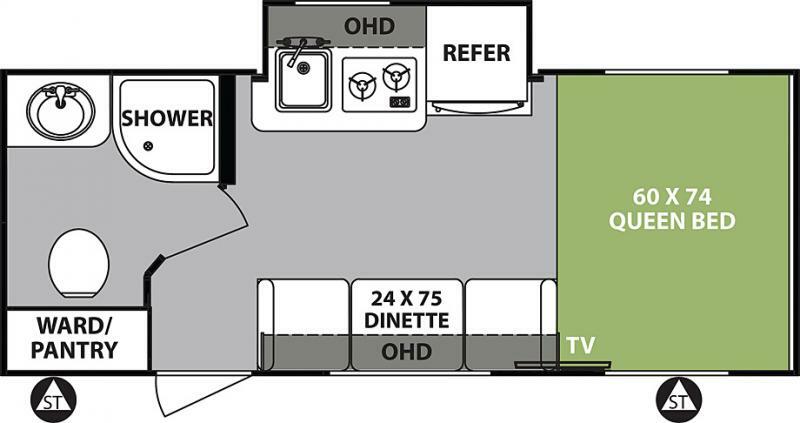 Forest River's newest floorplan... the 2018 R.POD 180 travel trailer. The 2018 R-Pod 180 has a full sized rear bathroom with a vanity w/sink, toilet and shower. This adorable R.POD sleeps 3. It also features a front queen bed, dinette that fold down to a single sleeper, 2 Burner Cooktop, 3 Speed Fantastic Fan in Bathroom, 4.2 Cu.Ft. 3-Way Refrigerator, expendable cargo netting for additional storage wherever, 20 lb LP Bottle w/ Cover, Front and Rear Stabilizing Jacks, Spare Tire, Patio Light, Tinted Safety Glass Windows, Aluminum wheels, Diamond plate, Spare tire and cover, Fantastic fan, Gas/electric DSI water heater, 20,000 BTU furnace, 13,500 BTU A/C, Convection Microwave Oven, Dolby Digital AM/FM/CD/DVD/TV Combo, CO2 Detector and much more. With it's unique shape and weighing in at 2,643 lbs dry weight, this is the perfect choice for campers with smaller towing vehicles. Come on take and take a peek!! We're located at 650 John Fitch Hwy, Fitchburg, MA.